Object Oriented Programming (OOP), Design Patterns, and the UVM are technologies aimed at writing more manageable and re-usable code. Adopting these skills may seem like quite an overwhelming task as many hardware verification engineers do not have much of a software background. 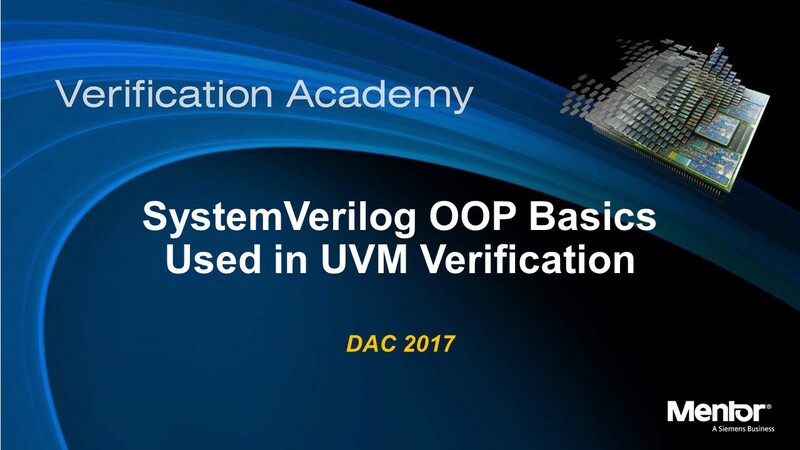 In this session, you will learn some of the core concepts behind Object-Oriented Programming to help you get a better understand what a methodology like the UVM can do for you.